NEW ORLEANS, LA - Pictures of the American West have dominated the canon of 19th-century American landscape photography. Although many photographers worked in the eastern half of the United States, their pictures, with the exception of Civil War images, have seldom been exhibited. The New Orleans Museum of Art (NOMA) will present East of the Mississippi: Nineteenth-Century American Landscape Photography from October 6, 2017 to January 7, 2018. In association with NOMA, this landmark exhibition, co-organized by the National Gallery of Art, Washington, is the first to exclusively explore a vivid chapter of America&apos;s photographic history-19th-century American landscape photography made east of the Mississippi river. These of the eastern half of the United States helped shape evolving mythologies of the American wilderness, revealed the impact of the Civil War on the physical landscape, and played an important role in industrialization and environmental preservation. "We are delighted to present this ground-breaking exhibition featuring some of the earliest photographs of eastern sites, which showcase an extraordinary time in American history" said Susan Taylor, The Montine McDaniel Freeman Director of NOMA. "It was a pleasure to collaborate with our colleagues at the National Gallery of Art to develop this exhibition together." East of the Mississippi brings together over 150 works-daguerreotypes, salt prints, albumen prints, stereographic images, and paintings ranging from 1839 to 1899. It is presented in six sections, expressing a diverse set of aesthetic, moral, topographic, and instrumental concerns, and it includes some of the oldest known photographs ever made in the United States, many that have never before been exhibited. Because of their fragility, and sensitivity to light, the exhibition presents a once-in-a-lifetime opportunity to examine, first hand, many of these important and beautiful records of American history. East of the Mississippi: Nineteenth-Century American Landscape Photography is organized by the National Gallery of Art, in association with the New Orleans Museum of Art. The exhibition is supported by the Freeman Family Curatorial Fund, the A. Charlotte Mann and Joshua Mann Pailet Endowment Fund, the Azby Museum Fund, and The Helis Foundation. Additional support is provided by Delta Air Lines. The exhibition is accompanied by a scholarly catalog co-published by Yale University Press with essays by Diane Waggoner, Curator of Nineteenth-Century Photographs, National Gallery of Art, Washington, Russell Lord, Freeman Family Curator of Photographs, NOMA, and Jennifer Raab, assistant professor of the history of art, Yale University. Featuring 220 color illustrations, the 288-page hardcover catalog will be available by calling 504.658.4133 or e-mailing museumshop@noma.org. The New Orleans Museum of Art, founded in 1910 by Isaac Delgado, houses nearly 40,000 art objects encompassing 5,000 years of world art. Works from the permanent collection, along with continuously changing special exhibitions, are on view in the museum&apos;s 46 galleries Fridays from 10 a.m. to 9 p.m.; Tuesdays, Wednesdays, and Thursdays from 10 a.m. to 6 p.m.; Saturdays from 10 a.m. to 5 p.m. and Sundays from 11 a.m. to 5 p.m. The adjoining Sydney and Walda Besthoff Sculpture Garden features work by over 60 artists, including several of the 20th century&apos;s master sculptors. The Sculpture Garden is open seven days a week: 9 a.m. to 6 p.m. 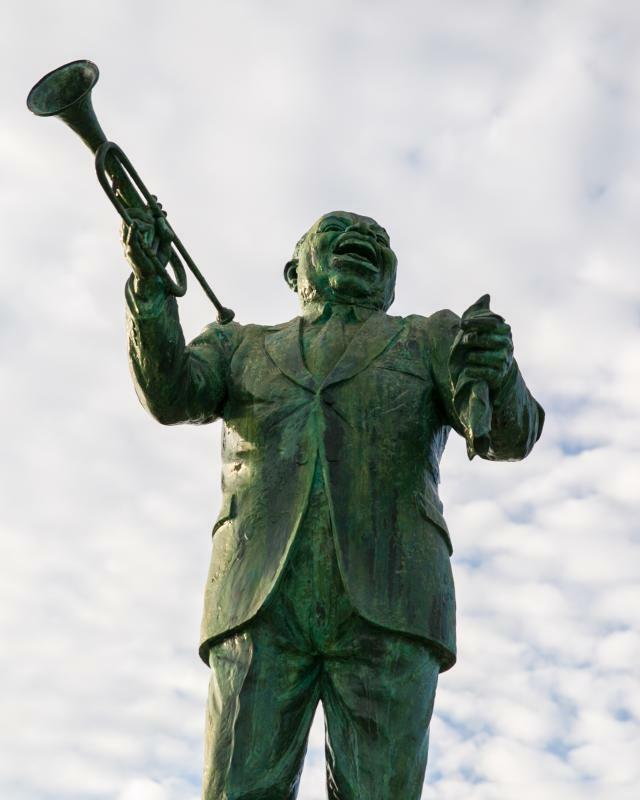 The New Orleans Museum of Art and the Besthoff Sculpture Garden are fully accessible to handicapped visitors and wheelchairs are available from the front desk. For more information about NOMA, call 504.658.4100 or visit www.noma.org. Wednesdays are free admission days for Louisiana residents, courtesy of The Helis Foundation. (May not include special exhibitions.) Teenagers (ages 13-19) receive free admission every day through the end of the year, courtesy of The Helis Foundation.